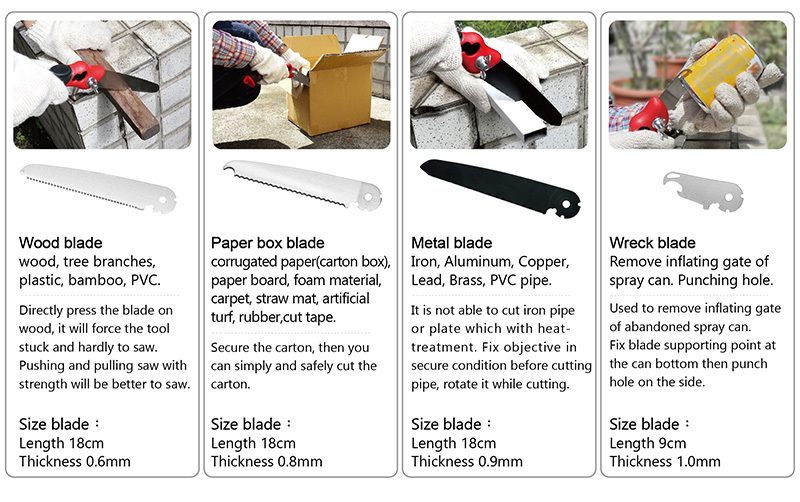 ▶ 4 kinds of blade usage: wood, paper box, metal, wreck blade. ▶ Light weight, easy to carry. ▶ Moderate size handle, fit for both male and female hands. 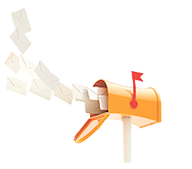 ▶ Exchangeably various function blades, with storagebag for safe storing. ▶ 2-section safety lock to prevent finger accidently wounded from folding. Handle: ABS and TPR Plastic Handle. 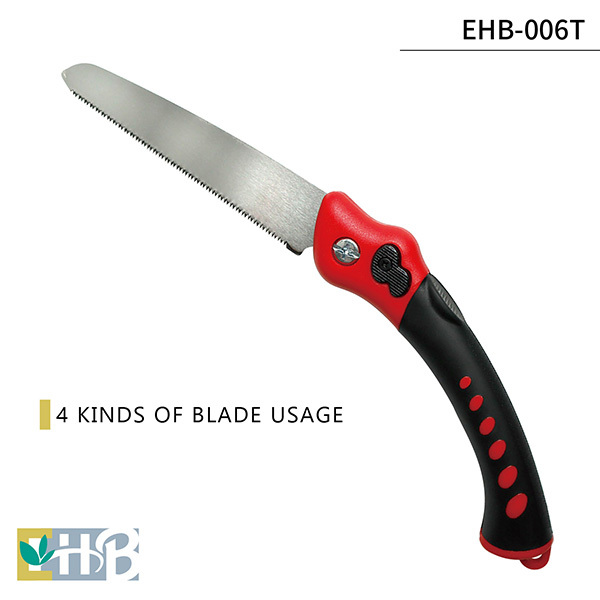 Wooden Blade: High carbon steel, Triple-Bevel teeth, Lacquered, Impulse-Hardening teeth. Metal blade: High carbon steel, ED Coating. Paper box blade: High carbon steel, Serrated knife blade, Lacquered. Wreck blade: High carbon steel, Lacquered.